Equipping students with the high-quality, faith-based education that Northwestern provides is a great responsibility—one we take seriously. Our responsibility is validated by a core group of loyal supporters called the Tower Society. The Tower Society is composed of Northwestern alumni, parents and friends who provide for the college's annual operating needs. 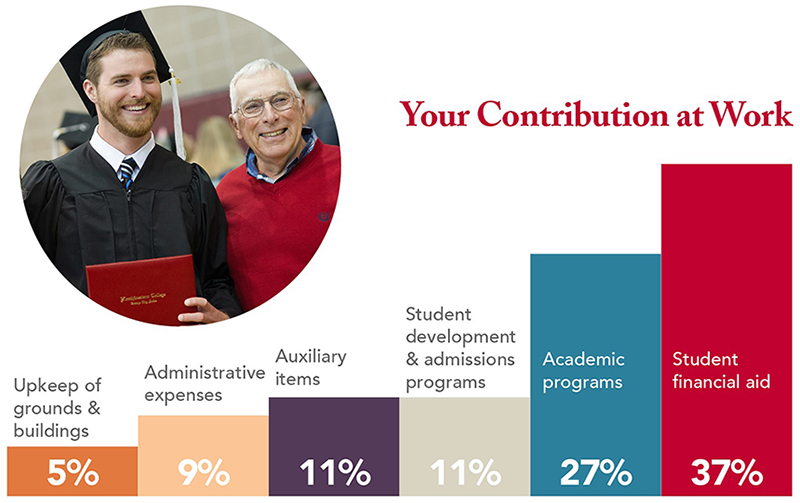 Tower Society gifts support scholarships and academic programs, spiritual growth, student life opportunities, technology and campus improvements. By annually giving $1,000 or more to the Northwestern Fund, you make an immediate impact on the cost of a Northwestern education for each of our students. Last year this core group of loyal supporters accounted for 77% of more than $1.2 million in Northwestern Fund gifts. Members pray regularly for Northwestern College and support the Northwestern Fund with a gift of $1,000 to $2,499 during the fiscal year (July 1 through June 30). Members pray regularly for Northwestern College and support the Northwestern Fund with a gift of $2,500 to $4,999 during the fiscal year. Members pray regularly for Northwestern College and support the Northwestern Fund with a gift of $5,000 or more during the fiscal year. All Tower Society members are invited to Northwestern's annual Legacy Celebration Banquet as the college's guests.